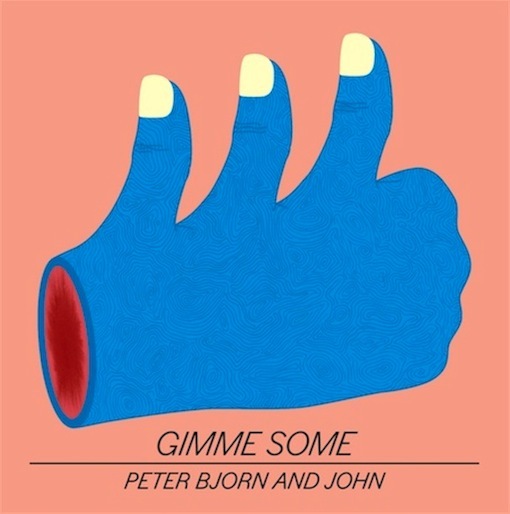 Another album that has been leaked for quite awhile is the new Peter Bjorn and John record 'Gimme Some'. This one's been leaked since like January. Wanted to wait till we were closer to the release date March 29th before I posted about it. For some reason I haven't listened to it much, not because it's not good, it is, more like I felt guilty that I had it so early so was kinda pretending I didn't have it, haha. Anyways I think we are good now. The album is classic Peter Bjorn and John! You will not be disappointed with this record. It has a little of everything, some rocking tracks "Black Book", "Breaker Breaker" to indie pop tunes like first single "Second Chance" and "May Seem Macabre" that they do so well, but there's really no bad tracks here. Get this baby as soon as you can. I think it's safe now. In addition here is their messy video for "Second Chance". Enjoy!